Actually I prepare German and Boheme most ,which share a lot with Polish ones-same food different names with very slight variation of a single ingredient or spice set. A lot of Portuguese Basque and some Russian (and of course a lot of US Southern Fried & TexMex and what few unique cherokee dishes there are) Polish and German foods in Int'l delis are as close as I can find to my childhood comfort foods.I do prefer Polish prepared pork to German. I am very fond of pickled items, sausages, farm cheeses and hearty combinations. I make a lot of casseroles, pastry based dishes, goulashes and meat /pies, as well as desserts. I like best one-two skillet dishes that take less than an hour, because I'm lazy as far as cleaning the aftermath and have cramped kitchen lately. So I make breads and pie crusts from scratch less often. You need to come on the thread about what polish dishes would you eat. Fish sticks, french fires, fruit, ice cream and chicken fingers are all I acquire from frozen. I try to stay out of markets like that. Last time I was in a Super WalMart , I was sick, they had just finished another reset of the displays. I couldnt find anything. I hadn't eaten and my meds were wearing off so symptoms up inluding asthma. I realized that my list had things I missed on other side of store and I'd have to trek yet again all the way. I started crying like a big goon in the middle of the canned goods.. I had already been wandering 3 hours. One of teh few things I miss of WA state is the farmers market and small farms to buy produce at. I walk to a market that is double+ Walmart price but I can't being my self to return! 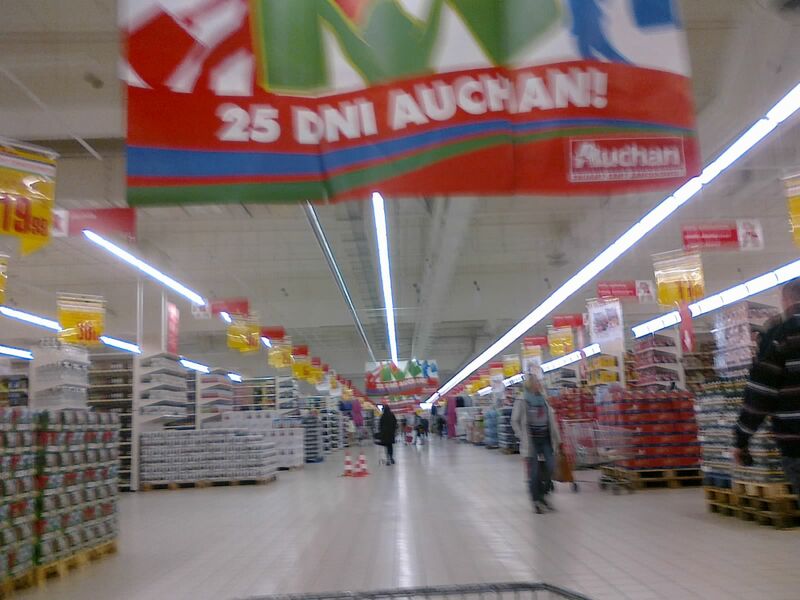 We went to Auchan hypermarket in Krakow. I like it because not only is the choice there the greatest in the city but prices are lowest too. Yes, we still have real grape juice here...But I have purchased some cheap, good imported Polish grape juice from the produce stand also, owned by a Belo Russian. The young people and Mr. Romney in the pictures were just a spontaneous reaction on my part about how insane the culture is many times.,,They're all crazy. But I have purchased some cheap, good imported Polish grape juice from the produce stand also, owned by a Belo Russian. I fear I am not sure how to understand it. Did you put those young coloured men together with Romney as representatives of the same culture or are they juxtaposed to each other as contrast? don't know where you live but they have started with the halloween stuff here in Poland too. quite sad really. 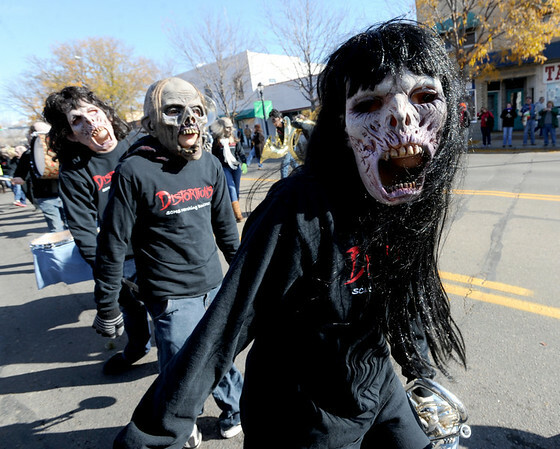 Halloween is fine, and interesting for children to dress up and be part of their communities. It looks like Polish mentality is very insecure, judgemental and ignorant all at one time. Comments and comparisons to other countries are not realistic in this thread/site. In my country we celebrate a Day of the Dead. People are ignorant and misjudge us as well so we are used to it, but it does not make it wrong or bad. Judge yourselves before you judge other, Polish. I was in Poland for a long time and saw mostly plain and ugly women. The reason why there is no PL is because your women are ugly. Get into reality, stop kissing yourselves. This is why there is no PL women on the internet lists for beauty. Beauty is everywhere, even in PL, but very rare, and not that great. From a non-PL person, Polish women are not good. What's the matter? Didn't any of the prettier girls want to talk to you? That list of women is a joke. It's just celebrities, most of which have taken their clothes off for money, either on or off camera. There is no way your average Monika or Agnieszka who are much more beautiful than any of those flakes would ever get the fame to be on such a pointless list. 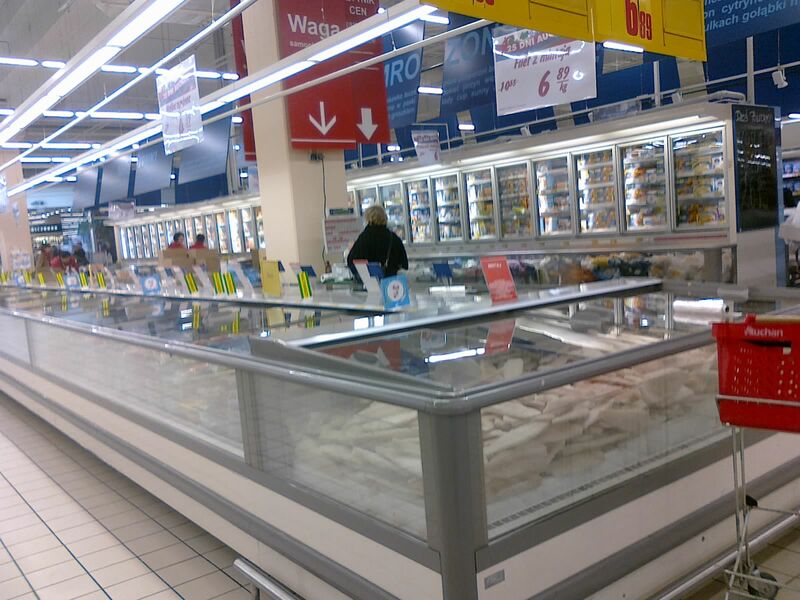 In Polish hypermarkets, in seafood sections/aisles, in smaller shoips and even in streets you can often see giant fish tanks with live fish. Carp, of course, but if you think they offer it live only at Christmas time, you are wrong. Not all, but some work all year round. 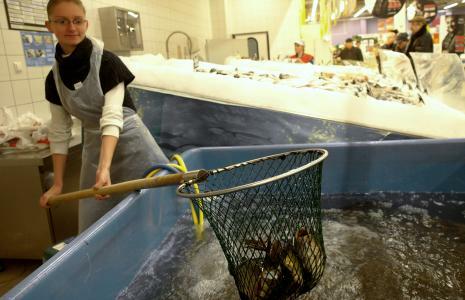 Polish law forbids to take live carp in shopping bags. So, the fish is either killed on the premises or a shopper has to bring a bucket. What about Britain or America? In the US, carp is mostly considered a junk fish. The Americans prefer salmon, mahi mahi and trout instead. Excuse me, Sir, but you missed the point. We are talking about the sale of live fish. We are not discussing the taste preferences of nations. Simple. I stopped buying fish for my home fish tank (not aquarium!) when I finished high school. Today I buy live fish for my bath tub. That is why, I live in Poland, not elsewhere. Fishing is very popular here, Pawian, and there's nothing better than fresh salmon or trout. TheOther,have you ever had Haddock?It's very good and it's popular here in the Northeast. I ate a lot of fish 'n' chips in my life, so yes. Isn`t it great? Saves a lot of time. But do you really think ... people don`t angle fresh water fish here? 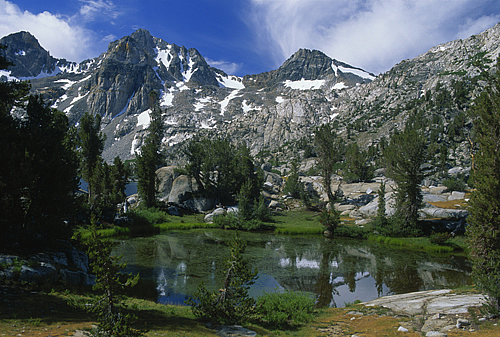 No country in Europe will ever compare to the wide open spaces of Canada, the US and Australia. Much as none of the latter will ever compare to the historical places and cultural richness you find in Europe. Come on....... Are you tired or what??? ?